WHEN: Thursday, April 11 / 3:30pm. A reception follows. 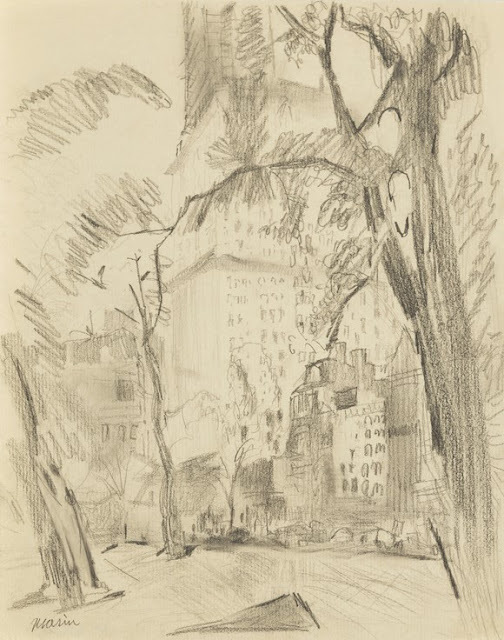 Learn more about our fascinating exhibition Becoming John Marin in this afternoon lecture about Marin’s long artistic engagement with New York City, whose dramatically changing form he captured in drawings and paintings over several decades. Josephine White Rodgers received her PhD in art history from Rutgers in 2015 and is currently the Marcia Brady Tucker Fellow in American Paintings and Sculpture at the Yale University Art Gallery. Mana Contemporary is a leading arts destination dedicated to celebrating the creative process. Based in a vast former tobacco warehouse, it unites artist studios, exhibition spaces, and ancillary services in a single location, facilitating conversation and collaboration among its burgeoning creative community. Guests view current exhibitions, including Dan Flavin: cornered fluorescent light and Maya Varadaraj: The Woman and The Machine, tour artist studios, and visit the Richard Meier Model Museum. Zimmerli Art Museum members receive discounted pricing. Details to follow on the website soon!